To start it off everything looks different. Balto is chasing or running from a raven through perilous ice and some weird wolves are also there. They get to a totem pole as Boris goes on and on and on about Balto’s dream being important, and a small dog takes way to long to say Jenna and Balto had puppies. How did they not notice she was pregnant, but this is still a logical next step for the franchise, and I was happy to see this despite the trailer showing it off. Also the historical Balto was neutered. Jenna now looks notably different, but I am okay with that, and she is voiced by Ariel and Thumbelina. After a few more dreams that I can still find no real foreshadowing in Boris finally does something funny and Jenna reveal the puppies will be adopted tomorrow. 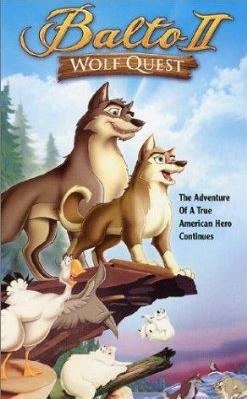 The main plot finally starts, as Boris says Aleu, a puppy, looks more wolf than Balto does. Some have criticized this by saying she has blue eyes, which are impossible in wolves, but I doubt many people know this besides her dad. They are then sold in the medicine box from the first film while the song “Taking you Home” is played. I have cried when watching it before, but other times I am indifferent to it. The non-wolf looking dogs are adopted leaving only Aleu, so I guess the people did not love Balto as much as I thought. I would want his kid who resembles him. Muk and Luk show up, and I know I watched this a few times just to try and remember who is who. Also they are somehow still cubs, while Aleu is full grown. Pinky, this magnet will accelerate her aging process. After some badly synchronized sound to lip movement a raven (later confirmed to be a spirit guide) distracts her leading to a hunter nearly killing her. She runs to the hunter thinking he wants to play with a dog, which is obviously scaring him. Balto chases him away, and apparently Aleu is unaware she looks like a wolf. I guess The Brain did something to her brain. For having wolf heritage he gave to her Aleu denounces her father and runs off. I was always bored of this scene when I was younger, as it is just predictable. A few future spirit guides are introduced in the background. Then Balto’s next dream actually has foreshadowing and good music, but now a voice calls Balto her son and mentions many future spirit guides. Cool it with the supernatural elements. Supernatural has less supernatural than this and the original film had almost none. Balto wakes up wasting time assuming Aleu is back apparently forgetting the last scene. He then goes looking for his daughter. Balto’s help from spirit guides is at first very unimaginative, just following them, but things get better eventually with the fox. It is a scene that is incredibly obvious she will randomly knock him in the water, where she tries to get Balto to just let the current move him, and that is part of what parenting is about, adapting with change instead of trying to fight it, but there are still three issues. This spirit’s plan is overly complex, why not just let him keep following the raven, as it can walk or fly, and I do not watch Balto to see a fantasy. Also the only way to make sense of the next wolverine clan scene is that other spirits are against him, but that is never brought up again. 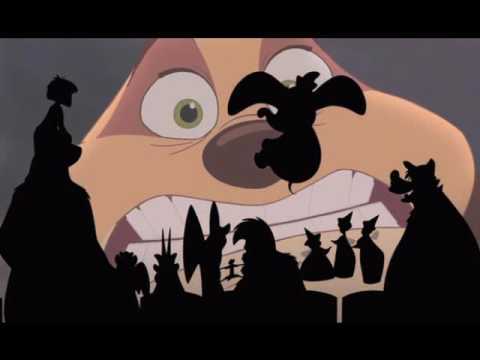 Even worse there are two more scenes with Boris, Muk, Luk, and Jenna that go nowhere and focus on characters who do not speak for the entire second half of the film, they just are shown looking worried. This film could easily have gotten a small enough run time to be an hour long tv special (thirty minutes off). With thirty minutes left the villains are introduced and things finally get interesting. Some newer versions of the first film’s minions show up. They get almost no screen time or personality, but Mark Hamill voices Niju, the main villain. He is aggressive and evil, yet he does want what is best for the clan. His flaw is the relatable one of being scared of change, and he is the film’s best character. Many of the clan go with Niju, and then a really simple song about balance is sung by everyone. Balto literally goes back and forth on helping or going home, but then he and Aleu have a dream about the ice forming a bridge to where they need to go, and that happening is enough of a sign in the morning. I would have ben on board as son as my leader could turn into a tree. They all go across except for Niju who insists they will all die away from their longtime home. Soon Nava’s piece of ice floats away, and Aleu swims after him, Niju also swims there to kill them both. After an Aleu swimming scene that also goes nowhere Balto arrives to save the day. They then realize the other wolves are drifting away, and them not having a clear leader is portrayed as a travesty that only one of those four can fix. I hate that idea. It is not as bad as in The Lion King, but I hate the concept of a born leader and everyone else cannot do it. Leadership is not inherent, it has to be mastered through experience like everything else. From this group you have an old wolf about to die of old age, two half-breeds used to people that have never lead wolves, and a fighter with bad decision making skills. No way are these the only or best options. Balto tells Niju to swim there, but he panics, changes away from his Joker voice and looks at his own home, where he ends up due to the ice breaking. Aleu insists on going to lead them alone, and that is what happens. Besides some brief psychic moments she was useless, and as a domesticated dog will doubtfully survive long. Balto and Nava go back to the mainland, and in a scene I do like Nava says he will find Niju and continue the clan with him. I love the moral here that evil can be redeemed. The film ends with the reveal that the great spirit is Balto’s wolf mom. I know this movie has fans, but I am not one. I heard this film was almost in theaters, and it has many problems of a thereatical film like inconsistencies due to too many people working on it. The supernatural elements make this feel nothing like the first film. Many scenes I skipped because they go nowhere. 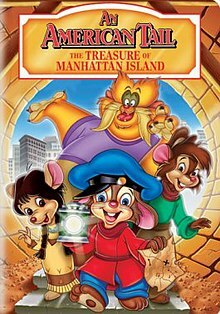 Unlike the sequels to An American Tail and The Land Before Time many characters from the original were put in that contribute nothing or incredibly little to the plot. This is worse than The Land Before Time 13. Is it as bad as The Lion King II ? No, it has a better moral and consistent theme, that we must learn to accept change, as it is inevitable. It was shown with Balto as a parent and Niju as a citizen of a clan. It also has less bad connections with the original, and it least has an okay last thirty minutes. Also the acting is considerably better than in the Lion King 2 and the average character is much better mostly thanks to Balto and Niju. While I hate this film, I know it has fans. For many fans a female protagonist with no love interest is appealing, and I know some viewers love the supernatural elements. For viewers that enjoy those this is a film to watch. The big debate from this film came from the film saying the white wolf is Balto’s mother. Well as a kid I had always toned out by the ending and never noticed that part. Now I can see that they look nothing alike and should just be considered different characters. School is done meaning DTV wonders is returning. The first step is to edit some older posts for spelling errors. I will also redo The Land Before Time 14, 13, and 12 in the style I started using for 11. I may do the same for Scooby-Doo on Zombie Island. For new videos they will be done in this order. It will be followed by the fourth film in the series. It will be followed by the third film in the series. After this it is time to return to Disney with The Lion King 1 1/2. This will be continued with Aladdin 2. 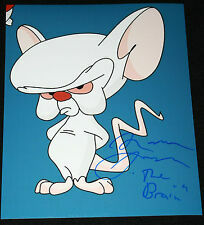 I will then work on more Warner Brothers films afterward.